Proprietor of Amici Salon has worked in the industry for 25+ years. 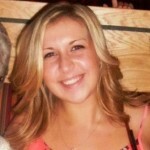 She started her career in Nutley working in local upscale salons. 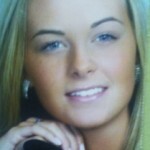 In the 90’s she owned and operated a full service hair, nails and tanning salon in Sussex County. She sold it to return to Essex County. Upon returning she was always looking to open another salon with all the right attributes. She finally found Amici, and returned back to the beginning, where she started her career in Nutley. It’s beautiful, big enough, with room to expand and has parking. From her experience it was everything she was looking for. She continues to grow by getting continual education and applying it to her craft. She is always looking to expand her staff of people with like values. She still loves this industry as well as the people she meets daily and it shows in the friendly warm and inviting atmosphere at Amici Salon. 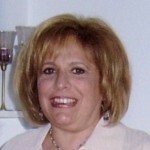 Michelle graduated from Seton Hall University in 1984 with a Bachelor’s Degree in Marketing. But in her senior year of college, she decided to pursue her real passion- the beauty business. She attended Capri Institute and also graduated in May 1984 with a manicuring license. Michelle and her partner opened Glitter…a salon for nails in 1985. 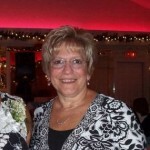 After Glitter closed in 1993, Michelle worked in a few salons in Cedar Grove, Nutley and finally came to Amici in November 2011. Michelle is a great nail tech, specializing in the traditional way of doing nails: tips, silk and linen wraps, manicures and pedicures. She prides herself in these skills, which she has been doing for almost 30 yrs. Michelle has also added the soak-off manicure to her list of services, a great application for clients who want their manicure to last. 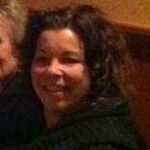 Come to Amici to meet Michelle and let her provide you with the services you need and will enjoy! As a Parisian Beauty Academy graduate I’ve been taking my education to the next level by taking several advanced classes to specialize in color, as well as make up and eyelash extensions. I take pride in my work and am truly passionate about my profession. I’ve worked with many companies such as Wella, Davines, Redken, Paul Mitchell, Lanza and MAC. What other industry allows this amount of artistic freedom and diversity? To me, to really make someone feel good is being able to make the outside match an individual’s spirit on the inside. There is always something new to learn. A hairstyle is an expression, so let me make yours! Laura graduated from Park Beauty School in 1967. Since then, Laura has been working as a hairstylist in Nutley NJ. In 1982, Laura opened her own salon “Charming Lady” and was open for 25 years. Laura enjoys pleasing her clients with what she does best, perms & highlights! Flo has been a hair stylist for five decades. She graduated from the American College of Cosmetology in Newark, NJ in 1961, where she was recognized with an award for French twists, and continued on as an instructor for the remainder of the year. Flo loves to make her clients shine with beautiful cuts, sets, perms, and blow-outs, but her passion is for creative coloring and highlighting. 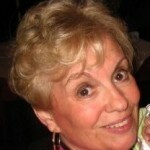 Flo has spent the majority of her career in Nutley, NJ and is happy to bring her talents here, to Amici Salon. Liz is a lifelong resident of Nutley NJ. 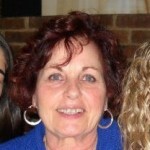 She graduated from Capri Institute of Hair Design before working as a hairstylist in Nutley for the past 40 years. She enjoys her clients, making them beautiful and knowing that they feel very comfortable at Amici Salon. 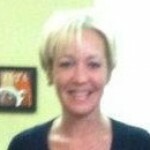 Liz’s’ expertise ranges from blow dry’s and hair sets to colors and perms, as well as cuts for women, men and children. Tara is a graduate of Capri Institute Training Center. Along with training from Capri I have been able to take advanced classes in special effects and have won awards for wedding makeup. In furthering my education I have taken hair color classes with Wella (The Studio NYC) and advanced haircutting classes. I also specialize in cutting, special occasion and wedding up do’s and makeup. I love to make my clients feel amazing and comfortable while sitting in my chair.